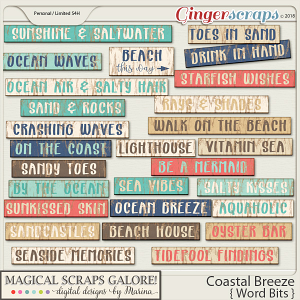 Feel the sand between your toes and enjoy the ocean breeze on your face. 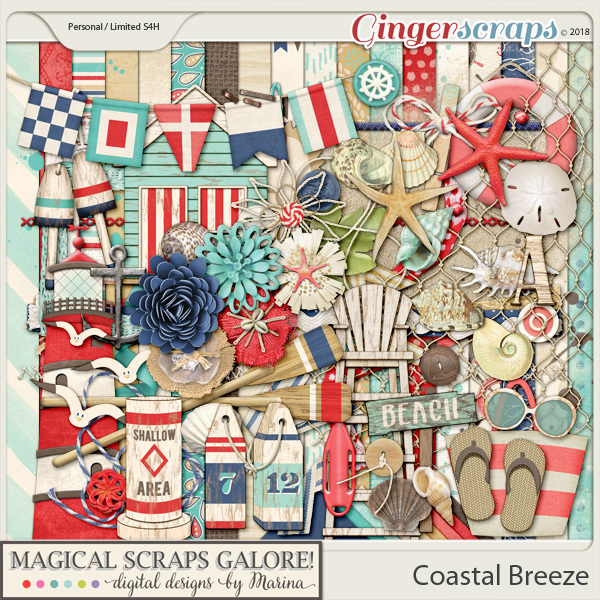 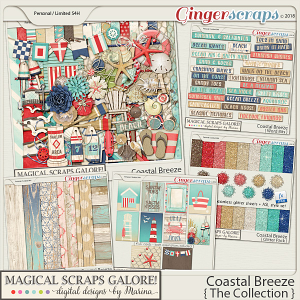 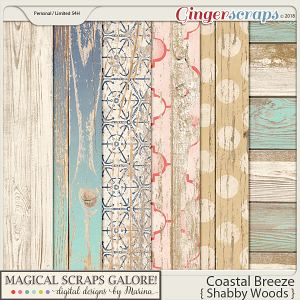 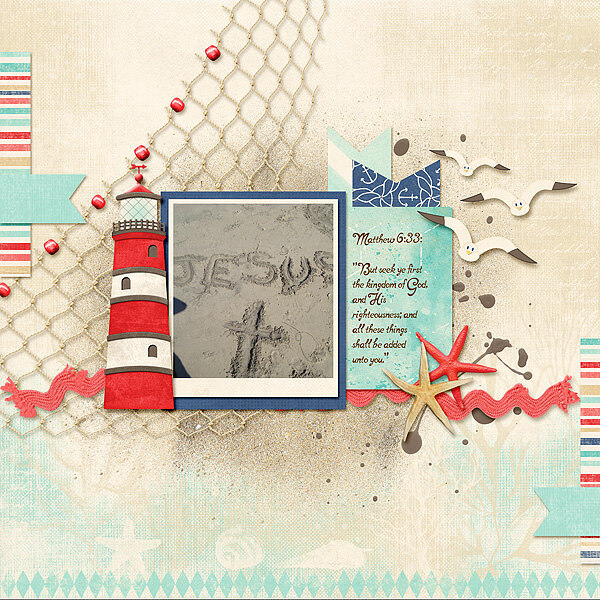 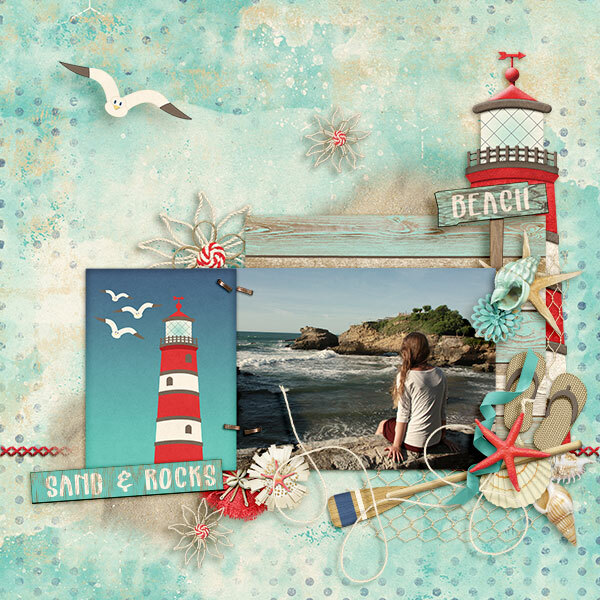 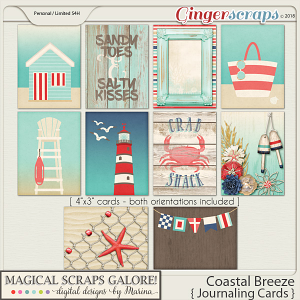 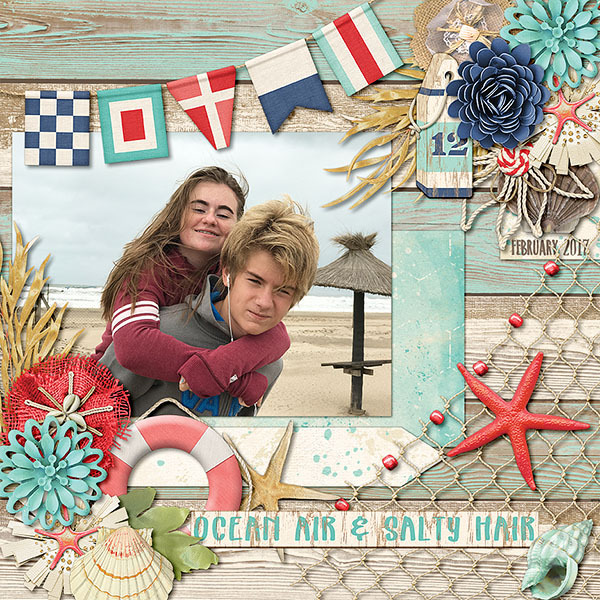 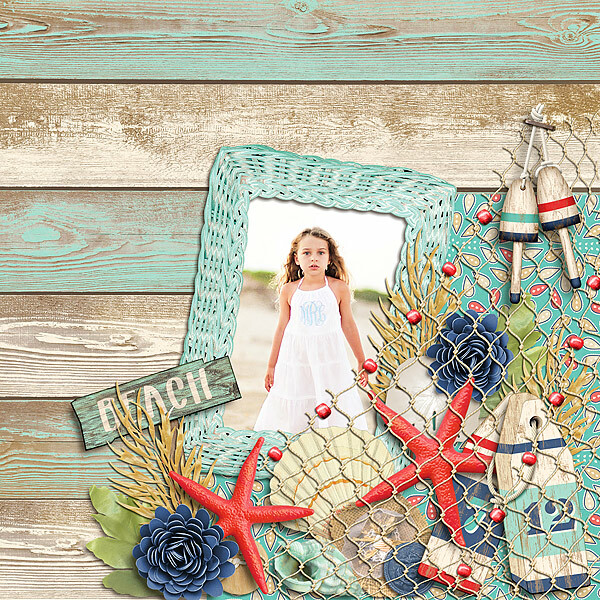 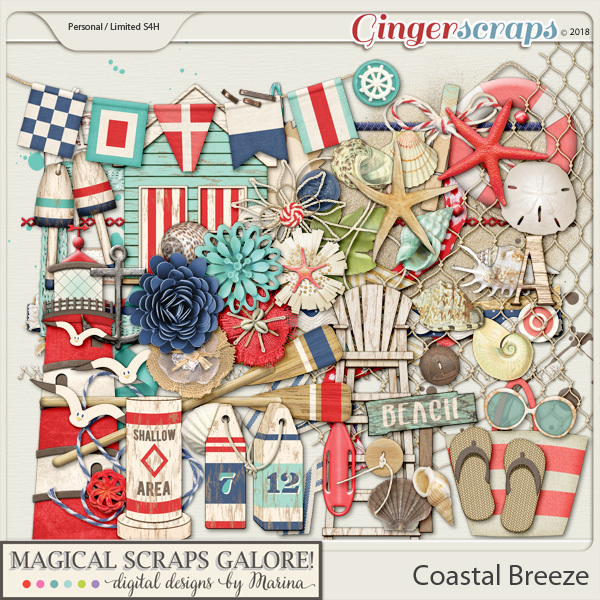 With its beautiful beach tones and a shabby feel, the Coastal Breeze collection evokes the magic of the seashore and includes gorgeous papers and embellishments such as seashells and starfish, beach huts and fishnets, ropes and buoys, beach bags and flip flops, among many other fabulous goodies and patterns. 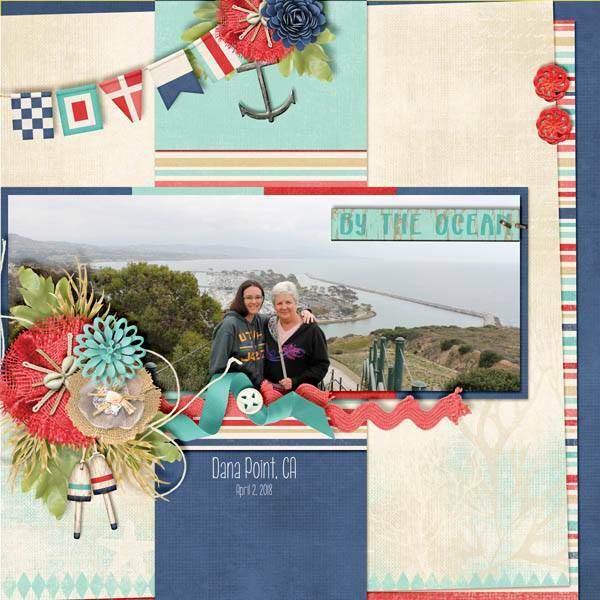 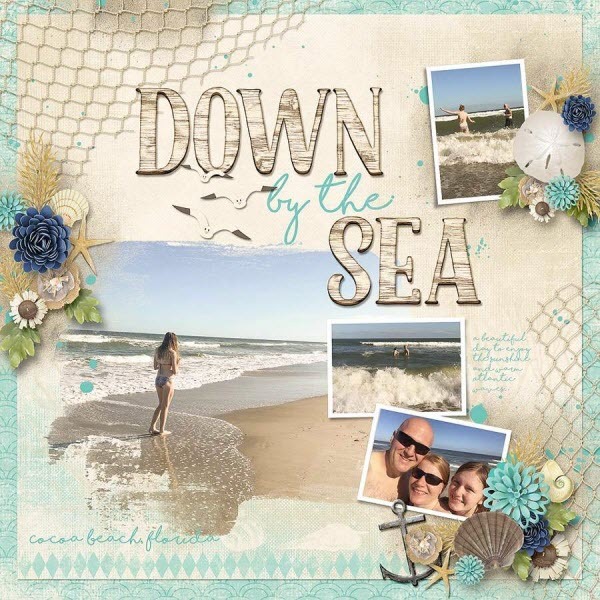 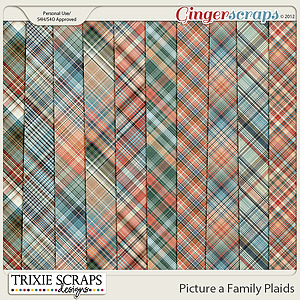 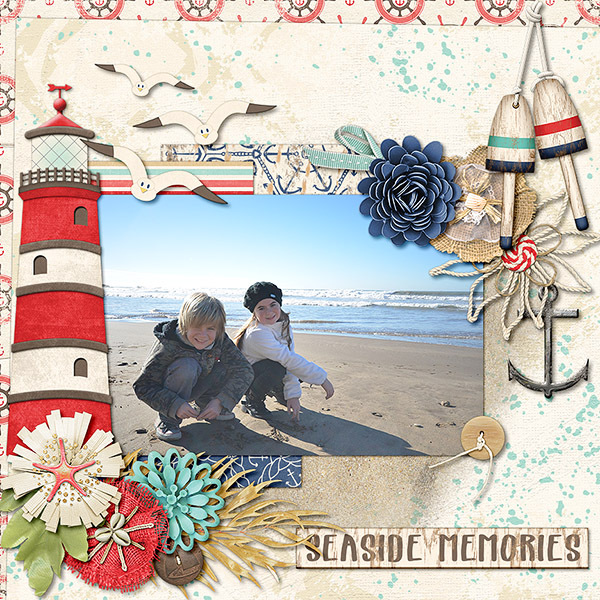 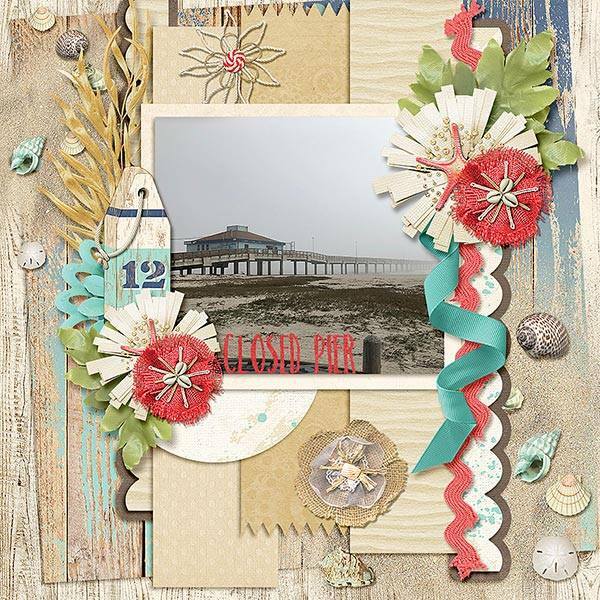 Perfect to scrap your favorite seaside photos and coastal memories. 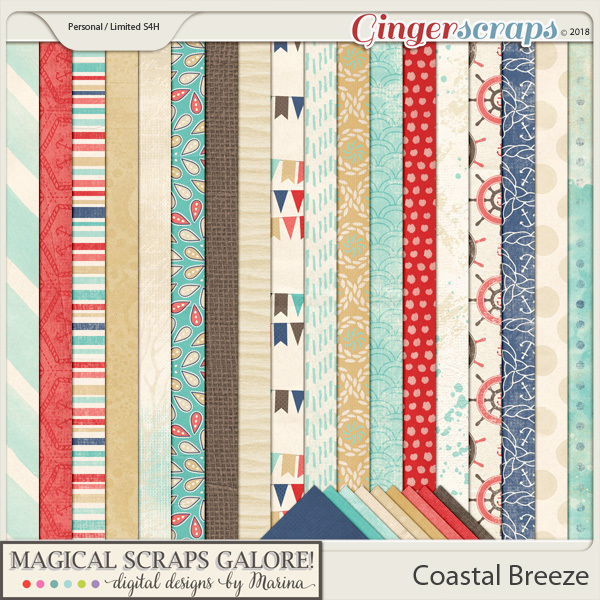 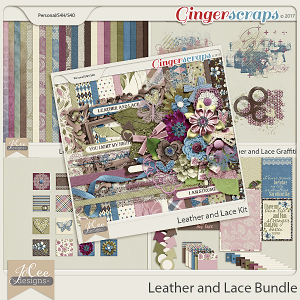 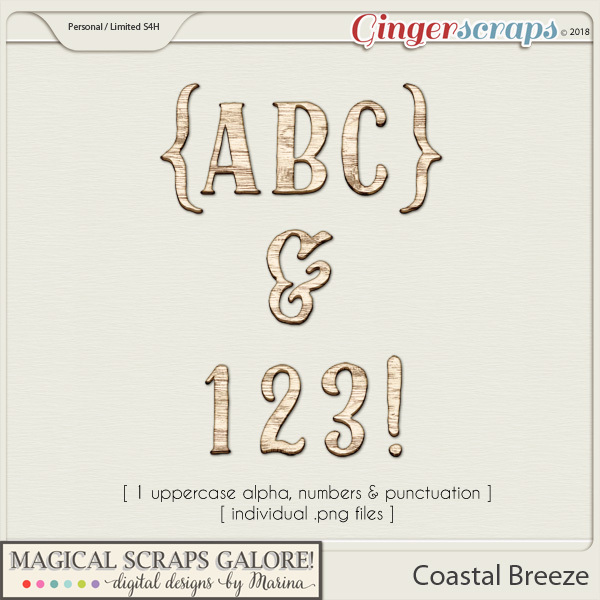 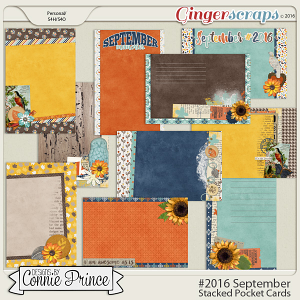 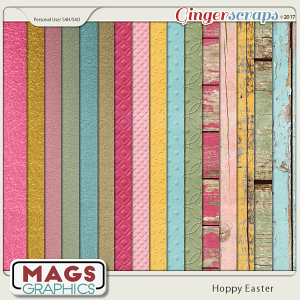 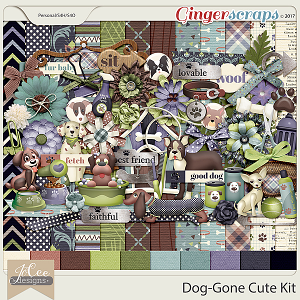 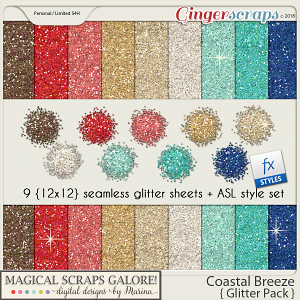 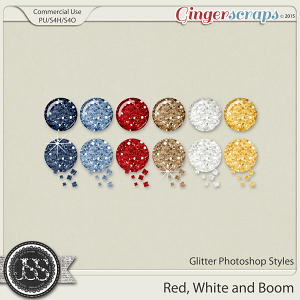 Included in this digital scrapbooking pack you will find 9 solids, 18 beautifully patterned papers, one full alpha and 70 unique elements.